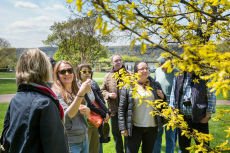 To kick off the City Nature Challenge, join NYC Parks staff on a two-hour hike around Van Cortlandt Park to view and make iNaturalist observations of the wonderfully diverse spring ephemerals in the western side of the park. 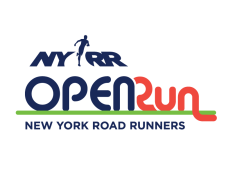 We will start the hike at the riding stables before first exploring parts of the Northwest Forest and then heading south toward Van Cortlandt Lake. Please bring water and a snack, as well as your smartphone or camera! If you do not know how to use iNaturalist, arrive 15 minutes early and we will show you how! Join us for a Rec for Life Spring Break Open House event! 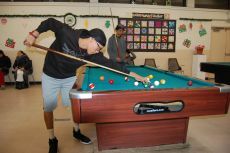 Open to teens and young Adults between the ages of 13 - 24.Take part in different activities including youth fitness, billiards, skills and drills basketball, music and video production, and much more. Wave Hill’s landscape includes magnificent old trees, rare species, and native beauties. Wander through the gardens on this special walk with Senior Director of Horticulture Louis Bauer to see some of his favorites from the living collection. Participants learn to make cute crafts inspired by the season to keep or give as a gift. 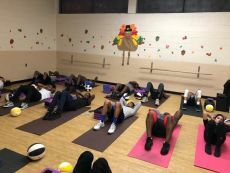 Join Shape Up NYC for a full-body workout at our Latin Dance Fitness classes - functional fitness through dance movements. Come work with NYC Parks Stewardship to care for local street trees! 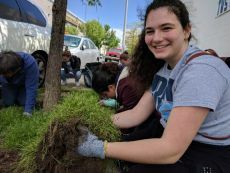 Volunteers will learn how to aerate, cultivate, mulch, and identify street trees. They will also learn about the important roles street trees play in New York City. 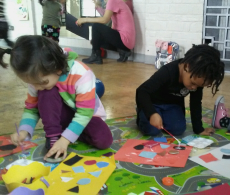 Children will engage in arts or tabletop activities while their parents take a fitness class. This It's My Park season, volunteer with The PS 68X Garden of Unity to clean the Pollinator Garden of winter debris, rake leaves, and aerate the soil at Seton Falls Park. We look forward to cleaning up the park with you! 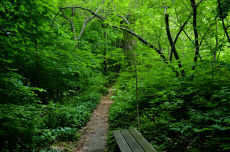 This It's My Park season, volunteer with Stewards of Upper Brust Park at Brust Park. The group invites everyone to join the general cleanup, raking, and weeding. Plus, pending weather you can help us to prep and paint the fence along the park. Contact group leader for groups 10+. We look forward to cleaning up the park with you! Stop by our spritz station to sample some exhilarating tree scents. 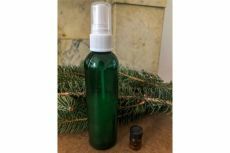 Learn about the medicinal qualities of Wave Hill’s trees and mix your own herbal, pine-scented spritz to soothe your skin, refresh your linen, and enhance the ambiance of your home. Ages eight and older are welcome with an adult. 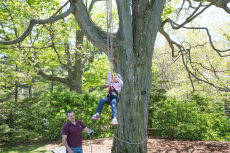 Kids can don harnesses and hardhats and ascend into the canopy of our old black cherry tree to get a birds-eye view of Wave Hill. Arborists from Almstead Tree, Shrub & Lawn Care are on hand to assist budding arborists and answer questions about the trees at Wave Hill. Ages five and older are welcome with an adult. This program, free with admission to the grounds, is generously sponsored by Almstead Tree, Shrub & Lawn Care. Stump the educators! Look at tree silhouettes, shapes, and sizes, see what trees look like on the inside using “tree cookies.” Learn how to identify common trees and leave no question unanswered. 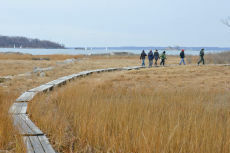 Our Urban Park Ranger hiking guides will introduce you to the hidden gems of New York City. Join our hikes and explore nature, discover our city’s urban forests, or just unplug from the world to clear your head. Moderate intensity hikes are longer, faster-paced hikes on rugged terrain. Trees are integral to landscape design, from defining garden spaces to softening architecture acting as focal points. 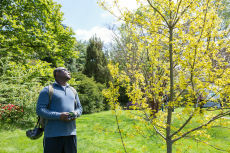 Take a stroll with Director of Public Programs Laurel Rimmer to see how trees enhance the design of Wave Hill’s gardens. 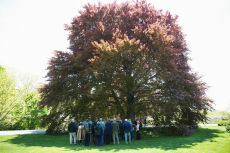 Wave Hill boasts a collection of extraordinary, stately and old trees. Discover how trees grow by looking at a tree’s parts and the role each part plays in a tree’s life cycle. With trees as your inspiration, embark on an adventure across the grounds with an environmental educator. Ages six and older are welcome with an adult. In the world of people, celebration is often laced with melancholy, joy is a border that surrounds sorrow, and fear is usually one doorbell away from bravery. So, how the fork can we write our stories in a way that acknowledges a complicated and dynamic world? How do we avoid writing that transforms us into caricatures? How do we convey what it feels like to be us, alive in 2019? If the job of an artist is that of an emotional historian, then we must create poems that are as multi-dimensional and layered as the people who write them. In this generative workshop, we'll explore and produce writing that strikes many notes at once. Bring a notebook, pen, and a sense of adventure, as we take our writing to the edge of the world, and bring back proof that we've been there. In Glyndor Gallery, former Winter Workspace artists Camille Hoffman, Maria Hupfield and Sara Jimenez return with installations reflecting their deepening practices in Here We Land. Each has explored narratives about contested space that draw on personal and cultural touch points, reflecting a synergy to their work and shared interests that will be reinforced by their projects this spring. 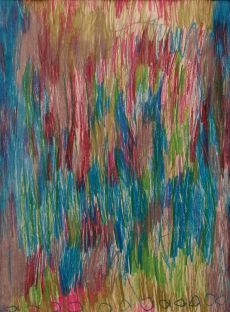 Hoffman’s mixed-media paintings and installations take inspiration from the Philippine weaving and the Jewish folk traditions of her ancestors, layered geographies emerging from materials collected from her everyday life. Based in Brooklyn, Hupfield is a citizen of the Anishinaabek Nation from Wasauksing First Nation in Ontario, Canada. Her sculptural body-objects, crafted from industrial felt, are often activated through performance. Also based in Brooklyn, Filipina-Canadian artist Jimenez’s installations and performances draw from familial narratives, abandoned objects and colonial texts, as well as photos, maps, and textiles, to focus on concepts of origin and home, loss and absence. 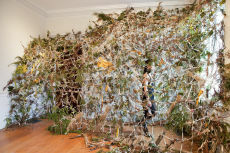 In the Sunroom Project Space, Rachel Sydlowski’s installation consists of layers of historical wallpaper that serve as a background for complex, screen-print collages of flora and fauna, architectural details and decorative motifs from Wave Hill, Inwood Hill Park and other surrounding green spaces, transforming the Sunroom into an anachronistic collage of past and present. Free with admission to the grounds. Ultimate Teen Boot Camp Challenge is a great opportunity for teens to push their limits and learn teamwork. 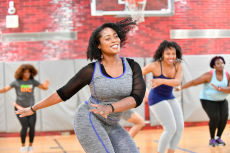 This challenge involves doing a variety of tough, total body moves designed to challenge every aspect of your fitness including; strength, endurance, balance, and agility. Forest bathing, inspired by the Japanese practice of shinrin-yoku, deepens relationships to the natural world. 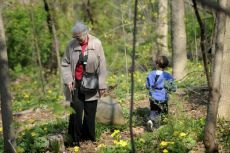 Boost your immune system and cardiovascular strength, reduce stress, and improve cognitive functioning with Gerti Schoen, a certified forest therapist, as your guide through Wave Hill’s woodland trails. Limited space, please register and arrive early to secure your place. Arbor Weekend event. 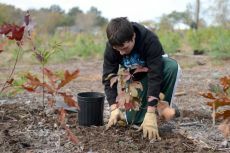 "Greening SUNDAYS@11" is planting 6,000 native perennials this year! Please join us to plant tree beds near the bike greenway. Please bring a lunch and dress for the weather. Participants will plant native pollinator-friendly perennials in tree beds on the E. 180th Street sidewalk. The program involves digging a hole and planting "plugs" with compost. After the planting participants will "water in". If there is litter, there will be garbage bags, and extra woodchips will be used to mulch the greenway trees. For more information about this event, please contact Roseanne Andrade at (929) 304-0908 or CQ4CATS11@gmail.com. Join us to celebrate the earth and all that it provides us. 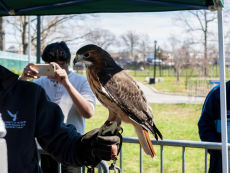 Enjoy a fun-filled day that includes a volunteer project, environmental displays, a sensory garden, arts and crafts, music, a live performance from the "Okra Dance Company", special feathered friends from "Volunteers for Wildlife", and much more. © 2019 - Dream Fury Inc.